This rumor comes to us via our own Snaileb. 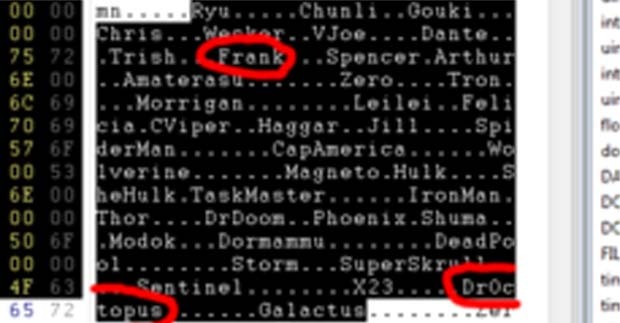 It looks like some intrepid hacker has taken a look into the code of Marvel Vs. Capcom 3, and found the names of both Frank West and Doc Ock in the there. Some are taking this to mean that the characters are going to be released as DLC for the game sometime down the line. Of course, that doesn't mean they're definitely going to make it as DLC. This could be just left over code from when the characters were once in the game, or they could be planned for DLC, but that DLC will never actually see release. Anything is possible, but still, it's exciting to imagine Frank and Doc Ock in the game. Frank was one of my favorite characters in Tatsunoko Vs. Capcom, and having a Bionic arm duel between Doc Ock and Rad Spencer would be a childhood dream come true. 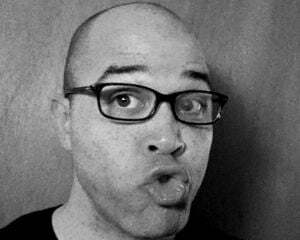 Here's hoping for more info on this soon.